Vicki is 64. She works from home, doing medical transcription. She grew up in this house, from fifth grade up until college. She moved back in to take care of her father when he got sick. After he died, her son moved in. 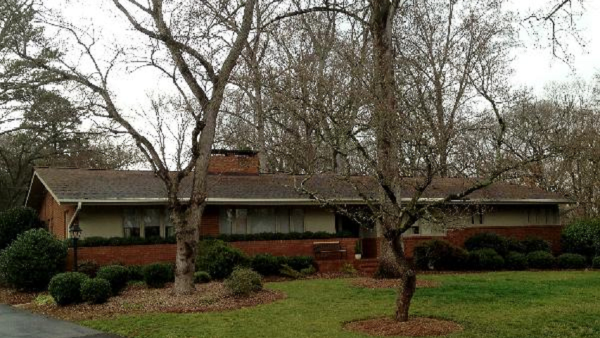 It had always been a quiet house in Mountainbrook, a leafy neighborhood about a mile southeast of the SouthPark Mall. Vicki’s parents built the house in 1960. 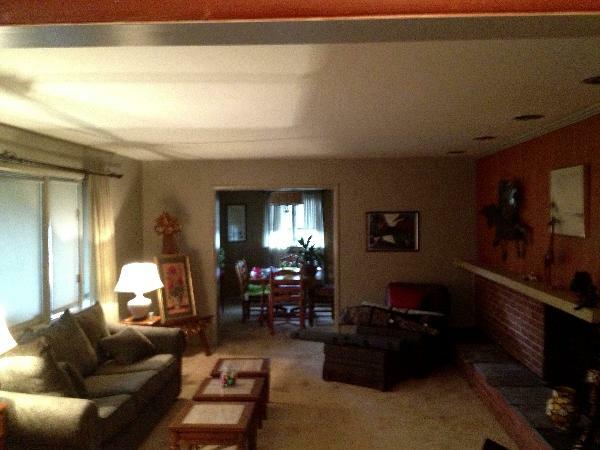 It was a long ranch wrapped in brick, with a wide chimney and a carport and a neat yard. Then one day, a guy came to her door. Said he was from a production company that was shooting a pilot. Vicki asked who was starring in it. Claire Danes, the guy said. She decided he was legit. If he’d said it was Brad Pitt or Angelina Jolie, she would have thought he was full of it. He came inside and took some pictures. Later he came back and asked her if the production company could film at her house. They’d looked at 40 houses. Vicki’s wasn’t their first choice, she said. But it was the one they went with. It was a one-story. It meant they didn’t have to lug cameras up stairs. They repainted the front of the house. They glazed the brick to make it look darker on TV. They took down wallpaper. They repainted the kitchen. They added a silver-colored light fixture above the table in there. They took out her furniture. They moved theirs in. Read more by Jeremy, and see the rest of his photos, at NBC Charlotte.